Located in Greater Manchester, Stalybridge is a town within the borough of Tameside. It has a population of approximately 25,000 and a range of properties to suit plenty of tastes and budgets. At My Home Move Conveyancing we provide a specialist, fixed fee conveyancing service. We can help you find your perfect home in Stalybridge, having developed our knowledge and expertise of property markets like this since 2001. If you want to buy or sell property in Stalybridge, you need to instruct property lawyers to complete the legal work for you. 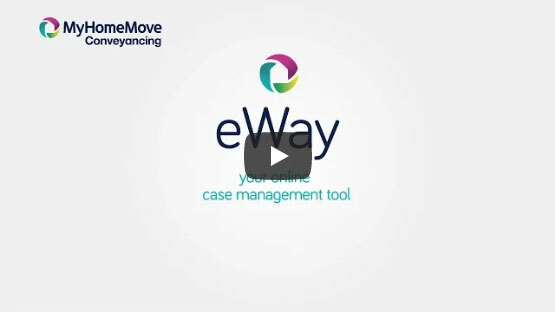 My Home Move Conveyancing offers you an award winning level of customer service, intimate knowledge of the local market and an innovative use of technology. Our professional conveyancing service comes for a fixed fee, so you know how much you’re going to pay right from the beginning. There are no extra charges or hidden fees to worry about when you choose us to be your Stalybridge conveyancers, giving you complete peace of mind. If you don’t end up completing for some reason, you won’t have to pay us anything thanks to our ‘no completion – no fee’ policy. You’ll be assigned a dedicated conveyancer who’ll oversee everything for you, looking after all aspects of your case from start to finish and regularly providing clear updates on your progress. You’ll also have 24 hours a day online access to your account, so you can check up on things at a time that’s convenient for you. We’re proud to provide our conveyancing services in Stalybridge to homebuyers across the area, including spots in the town centre, close to the train station and in neighbourhoods like Ridge Hill and Copley. The average house price in Tameside is £133,239, while the overall average sale price in Stalybridge during the last year was significantly higher than this at £173,426. Terraced properties were involved in the most sales during this period, going for an average of £122,981, while semis fetched £150,116 and detached houses sold for £288,981. There’s plenty of history in the local area, including a protected Bronze Age cairn, while it’s thought that a Roman road ran through Stalybridge on its way from Manchester to the Castleshaw fort. A cotton mill was built in the town in 1776, which led to Stalybridge becoming one of the original centres for textile manufacture during the Industrial Revolution, bringing plenty of wealth and growth to the area. There are plenty of modern amenities you can take advantage of these days, while Stalybridge also benefits from only being around around eight miles to the east of Manchester’s city centre. Trains to the city take just 15 minutes, perfect if you want to work in the centre of Manchester but live in a more rural place. Stalybridge is close to the beautiful Peak District, while it’s also a short drive to the M60 ring road which loops around Manchester. If you’re looking for a good school to send your children to, you’ll be pleased to learn there are some excellent ones in the local area to choose between. Millbrook Primary and St Peter’s Catholic Primary are highly rated schools for younger pupils, while Wild Bank Community School, St Paul’s CofE and Arlies Primary are among the options. At secondary level choices include West Hill School, Copley Academy and All Saints’ Catholic College in neighbouring Dukinfield. All properties in Stalybridge will fall within one of the following council tax bands.